HASBRO CELEBRATES NATIONAL FAMILY GAME NIGHT ON SEPTEMBER 23! On September 23 families across the country will be buying properties, shouting “Sorry!” and planning triple word scores during the first official National Family Game Night. As the makers of popular family games including THE GAME OF LIFE, CLUE and CONNECT 4, Hasbro challenges American families to pause from hectic schedules and take part in an evening of game play to reconnect and reenergize relationships. This Wednesday evening is part of Turn Off Week, a grassroots effort that encourages families to switch off electronic distractions and engage in other forms of entertainment, such as playing games, that promote conversation and interaction. For families on a budget, National Family Game Night provides an opportunity to share an affordable night in. Buying a new game costs significantly less than many other entertainment options, such as dining out or attending a sporting event, and Hasbro games can be played year after year providing hours of entertainment. When planning your family game night, consider some of America’s favorite Hasbro games, most of which are available for less than $20: MONOPOLY, SCRABBLE, OPERATION, YAHTZEE, GUESS WHO?, BATTLESHIP or CRANIUM. Or, if you’re looking for a new game, try PICTUREKA!, a fast finding picture game that provides fun for the whole family. Some of Hasbro’s classic favorites have also been updated this year, adding a new dimension of play to each game. For example, MONOPOLY Family Game Night: Championship Edition gives players the opportunity to host a Championship showdown at home, complete with tournament style rules and a Mr. MONOPOLY trophy for the victor. CLUE: Secrets & Spies Edition is a new suspense-filled game of global espionage where players work undercover and decode secret text messages sent through real time cell phone text messages. And CONNECT 4x4 is the first double grid, four-player game of CONNECT 4, introducing more competition and strategy to the classic game of four in a row. In addition to offering hours of fun and entertainment, games also provide countless learning opportunities. Playing games reinforces patience, turn taking and teamwork, as well as losing gracefully and following directions. MONOPOLY, for example, is a great way to start teaching kids and young adults budgeting skills, while BOGGLE and SCRABBLE help with spelling, and CLUE helps with deductive reasoning. Spend an affordable night in with any Hasbro game for an educational and enjoyable experience that will be remembered for years to come. For additional information about National Family Game Night, as well as age appropriate game suggestions, visit www.familygamenight.com. We all love Hasbro games here at my house they are awesome! Now thanks to Hasbro 3 lucky winners can pick either Boggle, Scrabble, or Monopoly City. Giveaway ends on Tues. Sept. 29th, 2009. 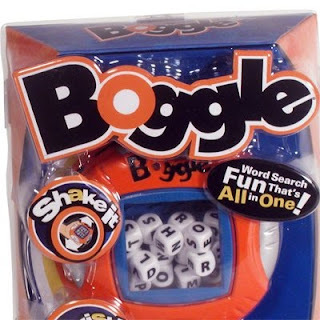 Boggle looks like fun! I'd love any of the games though! I have your button on my blog! We LOVE LOVE LOVE games at my house! This is a GREAT giveaway! we love game night at our house! Shauna, I just joined earlier today and you are already on your second giveaway. I feel as though I have hit the jackpot :0) Sign me up girl. I posted about your other giveaway earlier today, and your buttons already on my blog. But if you could sign me up for this one also that would be good to. Have a great week, wow were do find all these neat ideas, and giveaways? Your blessed girl. we love game nights!! we'd pick monopoly city! Fun! I would choose Monopoly City! My son would LOVE to have Monopoly!! 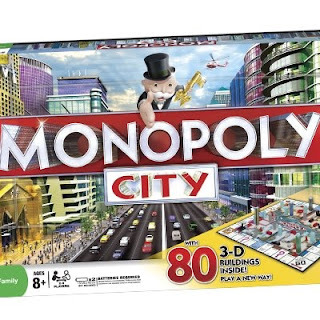 I would love to get my hands on Monopoly city. We love monopoly here and we have been eyeing this one!! lol. I guess I already said which game I wanted when I commented. but I will reiderate for the entry. We would choose Monopoly city. the new Monopoly looks like so much fun. I can't get enough of Monopoly! That's tough, but I'd probably pick scrabble. Everyone has to have scrabble in their collection, right? I would love to finally own Scrabble! Can you believe I've never owned a scrabble game? I need that one for sure! Fun stuff! And of course, I follow you! my family loves Monopoly so i would have to pick Monopoly city !! I would love the monopoly game, but any would be great! how a bout a twitter entry? Wrap up and send me Monoply City please. I know it will make for a great family night! And I'd like Scrabble or Boggle. I love Boggle!!!! I always play with my sister, when I am visiting her. So I would pick that, that way, she can play at my house when she visits me!!! Thanks for the chance! 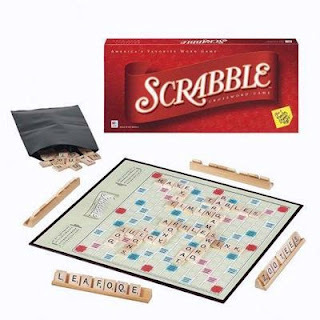 I love scrabble and would love to have scrabble. My kids keep asking for Monopoly City! Please enter me. Thanks for the chance. I'd love to have Monopoly. When I was a kid my family would play that together. I'd love to do it with my family too. Thanks! Love all those! I'd probably pick Monopoly City since I haven't played that version. But I'd love any of those 3. Have your button on my blog. I love family game night! I love playing board games! Especially scrabble. I follow your blog! Thanks! I have your button! Thanks! I think I'd pick Boggle! Fun games to choose from! I wrote a blog about this giveaway! I love Mononopoly so count me in for that one! how fun! i have not played Boggle in so long! Oh my Gosh we LOVE Boggle but have an old version of it! I would definately choose Boggle if I won this giveaway to get it in the newer version! I'd pick boggle... I've never played it before. I love Boggle! I follow. such a hard thing to say which game I'd pick...they are all favorites of mine. Can I say surprise me? LOL. Uhhh...I'd probably pick Boggle since I think that one appeals to most people and various ages then the other two but really I'd be thrilled with any of them. Games is our families hobby! I follow your blog. Thanks! I would choose Monopoly City if I won. Thanks! I would love to have a Monopoly City. I'd pick the Monopoly City game! Thanks! Games are great! I love to play! I would pick the monopoly city game. Oh I just love board games! I would especially love to win scrabble or monopoly. Great giveaway! Monopoly City would be great at our house! I'd pick Monopoly for sure! i choose Scrabble, although everyone of these games are fun to play and i would like to have!Thanks!!!! Boggle sure sounds like alot of fun. My grandkids love all sorts of games. You already follow Trying to Stay Calm! I love games!!! I love Boggle! Enter the $500 ZOOCCHINI giveaway here!